What are the Advantages to having a Protected Trust Deed? A PTD can often be a much better and cheaper option then sequestration. Once in this agreement you should not have to worry about being contacted by the creditors involved and they will not be able to take legal action. Being in a PTD will have no effect on your job or career unlike sequestration. The PTD is reasonably short - lasting around 3 years and will mean that you will be debt free at that point. For many people a PTD does not have the stigma attached to it that sequestration can have. What are the Disadvantages to having a Protected Trust Deed? You will need to discuss what you should do if you have equity in your property or valuable assets. As with all forms of debt management you will find that your credit rating will be affected by being in a PTD. Unless you make sure that you make all of your payments correctly and on time you will fail your PTD and may run the risk of being sequestrated. How long does a Protected Trust Deed last for? The maximum length of a PTD is three years. Sometimes they will last less than three years depending on the individual’s current financial situation. What creditors can be included in a Protected Trust Deed? 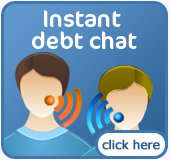 Typically you can include the following debts: money owed to finance companies, banks, store cards, credit cards, Inland Revenue, HM Customs & Excise (VAT), Council Tax and loans made for your family. A PTD will not include the following debts: mortgages, hire purchases, debt incurred through fraud, student loans, fines, maintenance and child support arrears. Can I lose my house with a PTD? You will not lose your house but the equity of your house may need to be released to pay your lenders. Sometimes a property may be joint-owned, so an appropriate portion of the equity will be taken into consideration in that case. 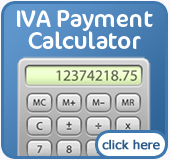 What are the differences between IVAs and PTDs? A Protected Trust Deed is in principle, the Scottish equivalent to an IVA. Will I need to tell my partner about a Protected Trust Deed? You don’t need to notify your family members although it is often suggested that you advise those closest to you. Will I have to close my business? No, you will not have to give up your ownership or position as a director of a company when you are in a PTD. Will my creditors agree to my Protected Trust Deed? In most cases, a PTD will be a favorable solution to your creditors. It allows them to recoup some of your debts whereas with bankruptcy they may receive significantly less or will have great difficulty collecting their money. Can one creditor refuse the Protected Trust Deed? Yes, but it will only stop the process if that creditor makes up a third or more of the total value of your debt. If that creditor accounts for less than one third then they will be bound by the terms of the PTD proposal. Is a Protected Trust Deed the same as sequestration? No, the court governs them both and they are both legal processes for people facing insolvency but a PTD is considered to be less formal. Can I cancel a Protected Trust Deed? No, you will have to abide by the terms of the Protected Trust Deed just like your creditors. What happens if I’m not approved for a Protected Trust Deed? There are other alternatives to a PTD. Take a look at our debt management, debt consolidation loan, and bankruptcy sections for more information. We also have information about full and final settlements and informal arrangements. There is never one solution for a debt problem. What will happen if I fail to make my payments? Your IP will specifically design your payments to be manageable, so you should always do everything in your power to make your payments. The best thing you can do, if you are having financial difficulties during the term of the PTD is to contact your IP and discuss your options. They will be able to help you decide what to do next to help you avoid losing your house. What if I have a financial windfall or lose my job? You are required to contact your Insolvency Practitioner if there are any changes in your financial situation. The IP may be able to propose changes to your proposal with the Protected Trust Deed to reflect changes in your financial circumstances. The process can begin immediately and can sometimes be fully set up within a month. Are you eligible for a Protected Trust Deed ?